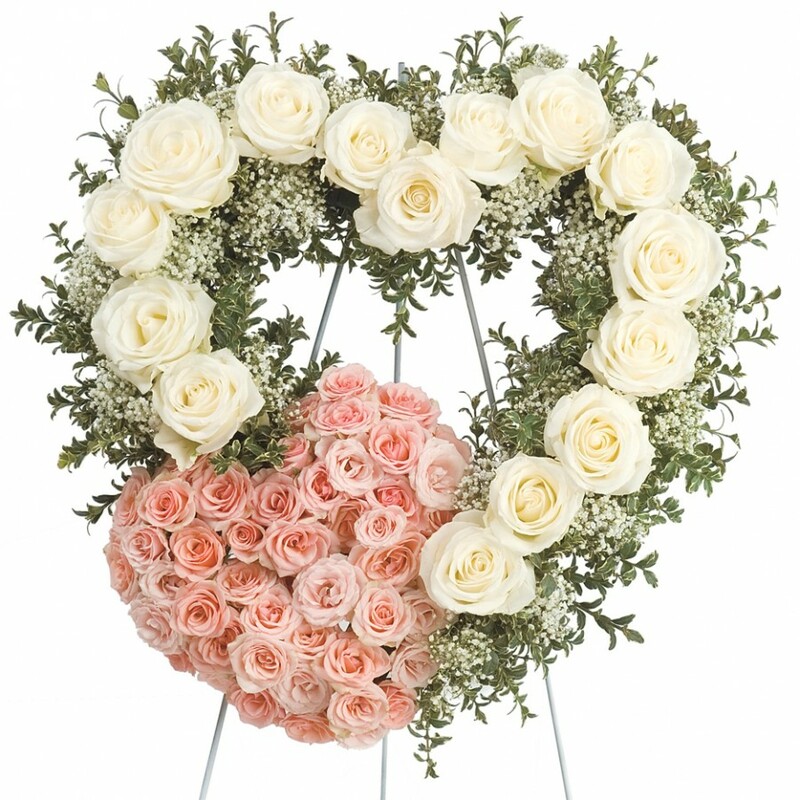 A simple and angelic arrangement like our "Devoted Hearts Spray" features a lovely array of white roses forming a big heart. Attached to the bottom left is a complementing pastel pink heart made of pink spray roses. This arrangement looks like it just came out of the Garden of Eden, and serves as a wonderful expression of devotion.